Outside of a few big games, this has not been the year that James Bolden was hoping for. Now it’s been reported that Bolden is not traveling with the team to the Iowa State game. It was reported by Mike Casazza. Bolden injured his ankle in the loss to No. 1 Tennessee. After going up to haul in a lob pass, he came down hard and injured his right ankle. For the rest of the game he sat on the bench with his ankle wrapped in ice. Beetle began the season dealing with stretched ligaments in his shooting hand. That was followed up with fully body camps and an injured left elbow and shoulder. Also during the season he has dealt with a hip pointer. 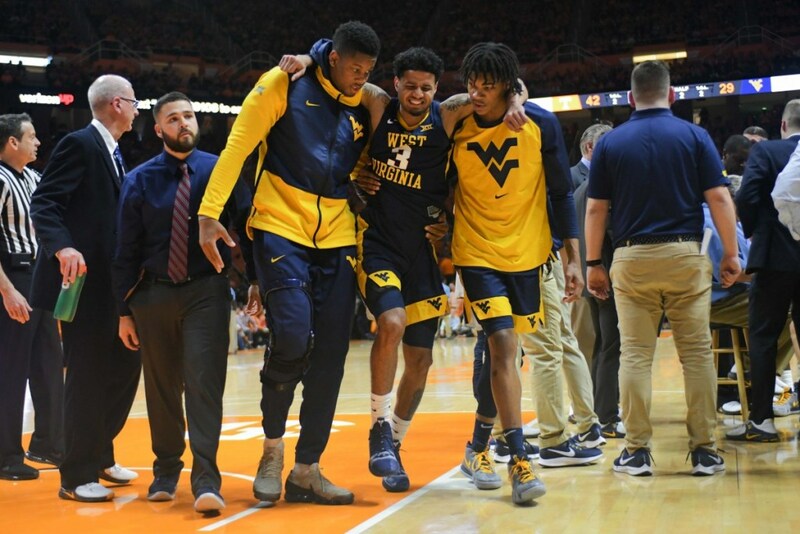 The Mountaineers are facing a very tough assignment Wednesday night against Iowa State. Even without Bolden it was going to be very tough to get a win. The game is set to tip off at 7 p.m. and will be on ESPNU.